AirSmart is an Indoor Environment System that redefines air purification and climate comfort. Far more than a heating and cooling system, it actively removes allergens and pollutants to deliver purified air, making living and working spaces healthier and more enjoyable to inhabit. Its discreet installation integrates seamlessly for clean lines and uncompromised design aesthetics. Founded in Ontario, Canada, AirSmart entered the Australian market in 2011. They came to Tout Creative with the desire to “supercharge” their marketing and position the brand as the leader in their field of indoor environment systems. 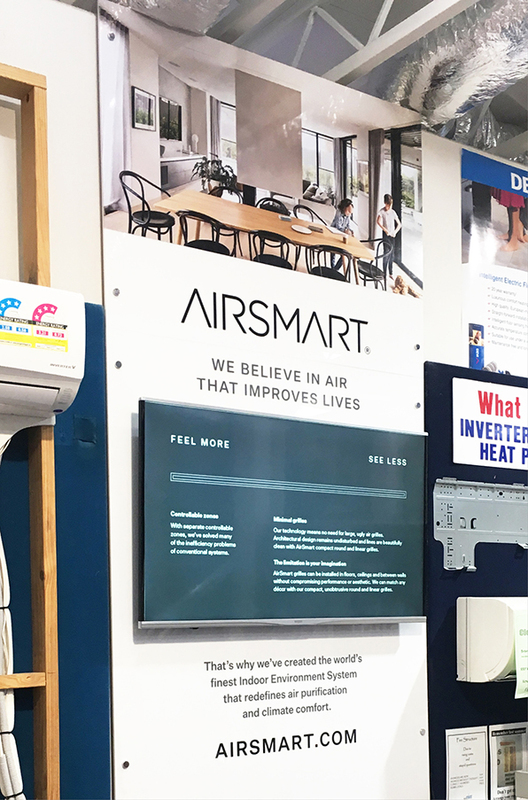 Building AirSmart’s brand is a continual process and we work with them to help reach their marketing goals. 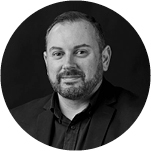 With our team of expert designers, copywriters, digital gurus and strategists, Tout Creative is trusted by AirSmart to deliver quality across all marketing channels. We look forward to seeing how our marketing helps AirSmart’s lead generation and customer journey. 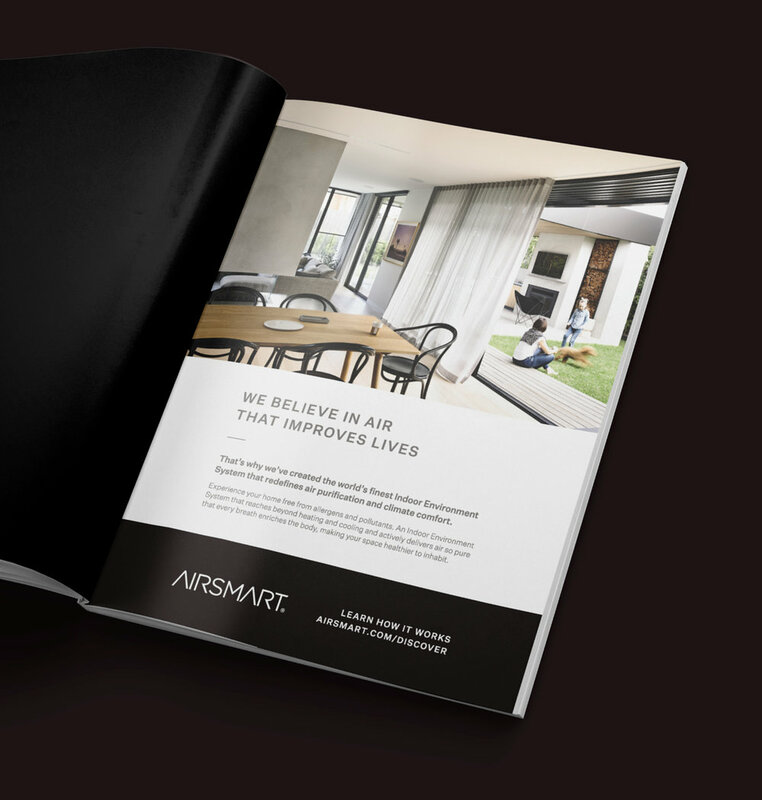 AirSmart had already done the groundwork in developing a brand strategy and website before engaging Tout Creative, so this provided a solid platform for us to build on. Changing from using several suppliers to a single integrated creative agency can be challenging but Tout Creative was in constant communication with AirSmart to ensure a smooth transition. We began with a detailed marketing and advertising analysis then developed a marketing and content plan. This included project management and producing social media content, event and exhibition planning, print advertising, email marketing, and more.